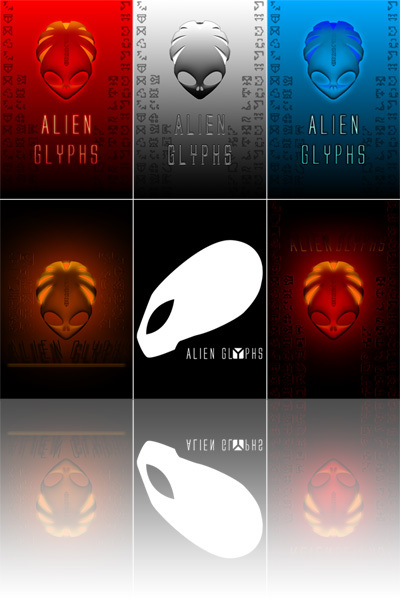 Alien Glyphs presents a original gameplay conceptions of arcade survival game, which gives you a chance to join to mysterious hieroglyphs of ancient alien race. 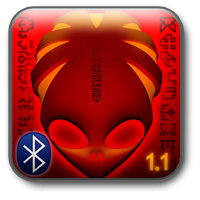 While playing you have to find glyphs pairs in time, activate power-ups, fight against mutators and escape penalties. You can train all your attention and reflexes to razor edge sharpness. 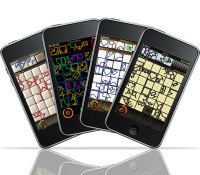 Play just for fun or train yourself to grandmaster skills! 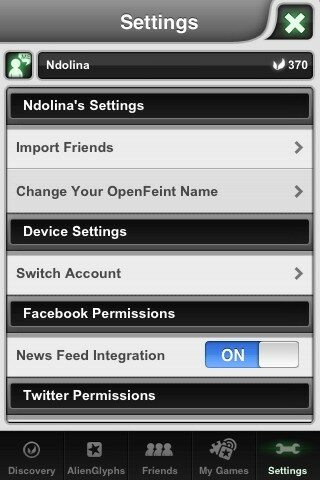 Earn achievements and challenge your friends in the OpenFeint social network! Submit your best scores and compete with best players all over the world! Listen to outstanding in-game sound track or play along with your favourite iTunes music! 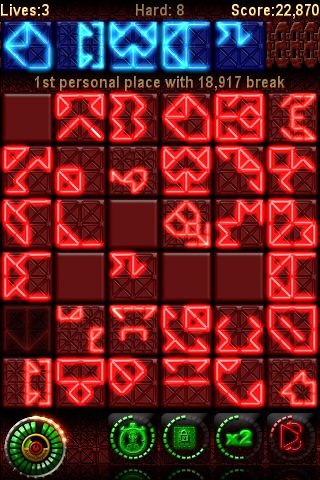 Alien Glyphs is arcade puzzle-based game. 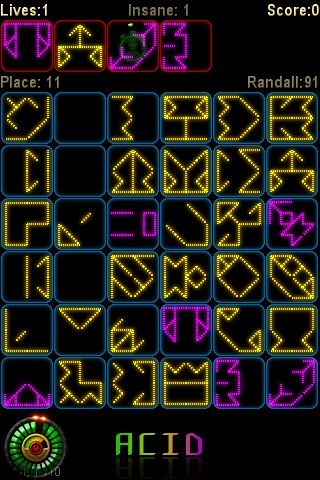 The goal is simple but challenging - to find pair for target glyph on the alien control panel and then strike it. You have limited time for each glyph, if time is expired another glyph appears on the bar. 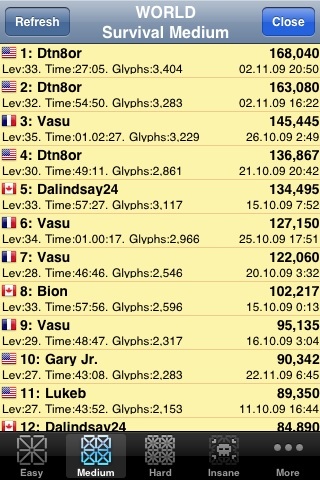 If bar is filled with glyphs game is over. 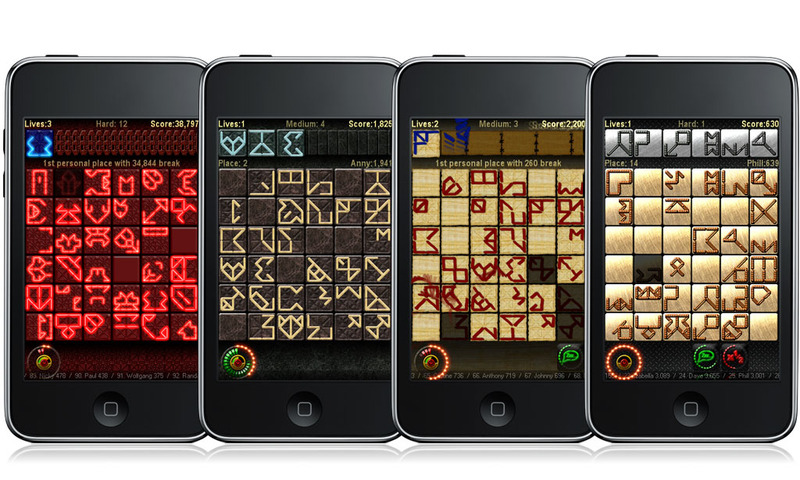 Power-ups and penalties can slow down or speed up timer, mutate or mix glyphs and more. 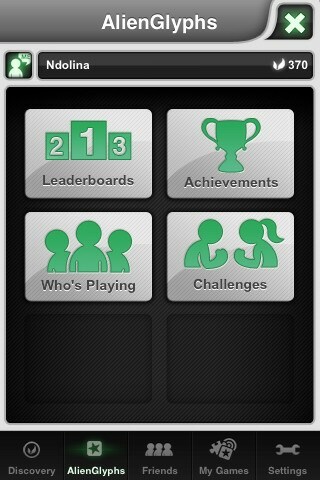 For each finished game you can option to create challenge and send to your friends. 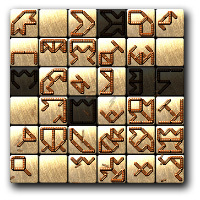 Alien Glyphs is an interesting new perception/matching game that has you exercising your mind in a surprisingly pressure-filled scenario... the real strength of the game is the individual mental challenge it presents in what is a seemingly simple task. The overall production value of the game and music also make it stand out. 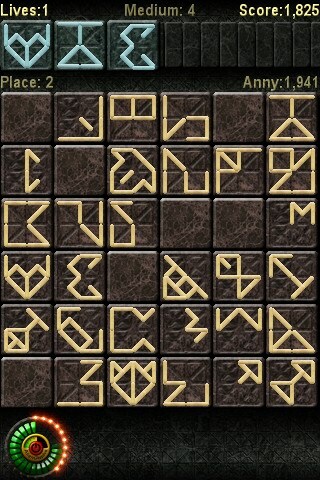 Alien Glyphs è un gioco in cui bisogna usare molta attenzione ed avere i riflessi pronti. Originale nella grafica e nelle dinamiche, risulta un titolo ben realizzato. Great visuals and sound mixed with a new way to match had me playing this game till nights end. 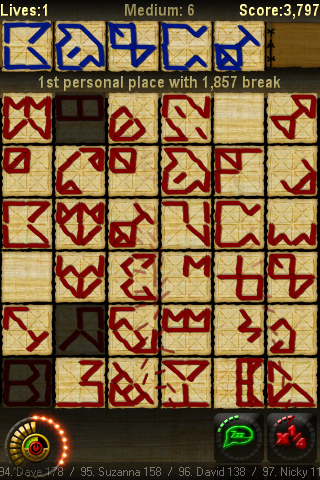 So far it has begun to get a bit repetitive but open fient challenges should keep you busy while waiting for the update. 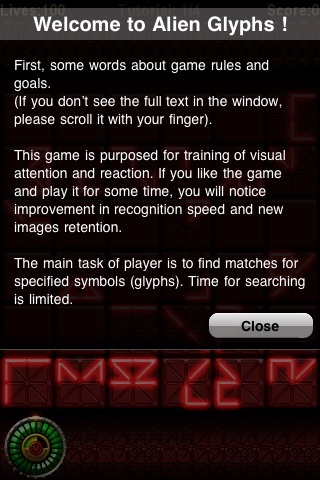 I can easily recommend this to anyone who enjoys a great pick up and play game. 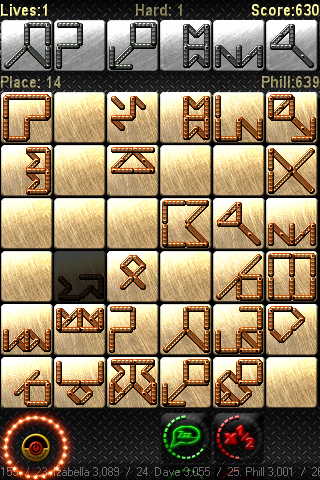 Alien Glyphs is one of those addictive, easy to learn and hard to master type of games and for 99 cents who could go wrong. Don't be discouraged, like I was, by what genre it's from. 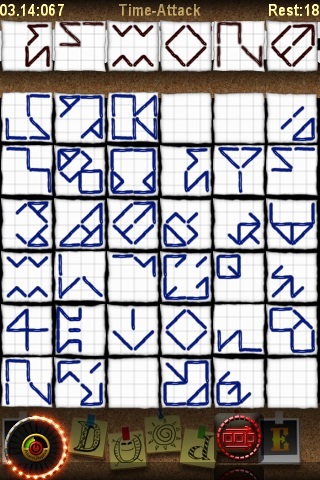 With its attractive graphical style, simple gameplay, and exciting power-ups and power-downs, Alien Glyphs is poised to take its place as one of the app store’s newest puzzle phenoms... 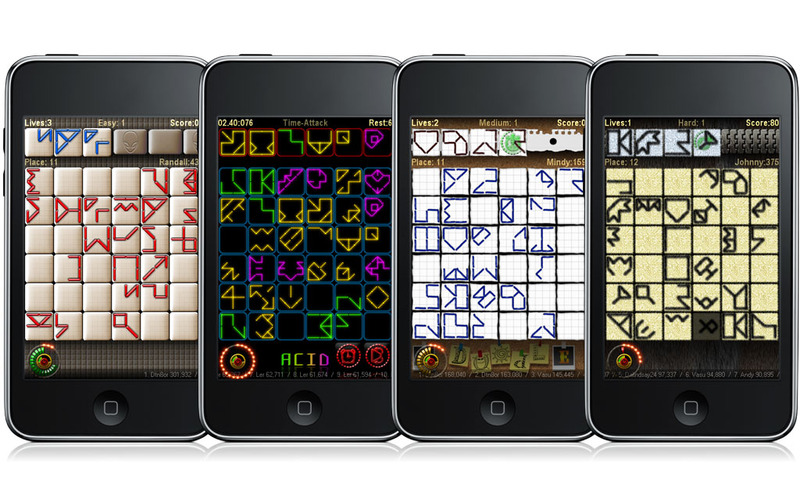 While there are many matching games in the app store, most are of the match-3 variety and don’t have the polish and excitement of Alien Glyphs. 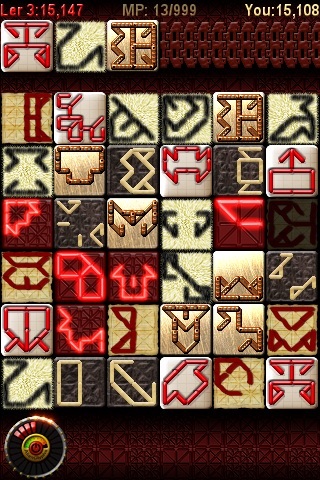 This game will not only give you a fun timewaster, but also help to sharpen your mind and reflexes. 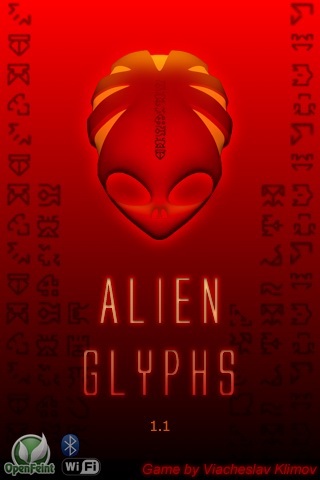 Alien Glyphs has all the little extras that make a game truly polished: personal and worldwide high scores, OpenFeint integration, four different skins for customization, options for difficulty, a thorough tutorial, and an active developer dedicated to improvements and upgrades. 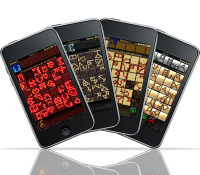 In fact, this puzzle game has the feature set of apps well above it’s price point. It’s easy to see why the App Store reviews are overwhelmingly positive. Three new gameplay modes -- Quick Play, Time Attack and Count Down. All in-game texts polished by English native speakers.